Manufacturer: Eri Vending Cart Co Inc. Description: Based in Philadelphia, Eri Vending Cart desings and builds custom mobile vending services for your uses. We cut and sell stainless steel and diamond plate sheets for all our builds, and since we do it ourselves being able to make them of all shapes and sizes to better fit your needs. 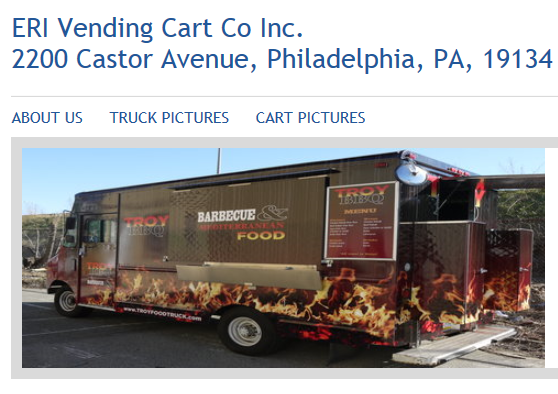 Trucks and Carts for all kinds of foods can be made for you, though our specialty lies in the cart area. At the end of the day, every one of our items passes health inspections.